comp.databases.informix (CDI) is a Usenet newsgroup dedicated to technical discussions about Informix and related products. Details on CDI's its intended use and protocols are available on the comp.databases.informix and informix-list@iiug.org FAQ. Usenet is the name given to the collection of thousands of computer systems world-wide that run software known as netnews, or simply news. This allows them to act as a large distributed bulletin board system. Subscribers read and post news articles on their local systems, while background software controls the distribution of articles to other news sites. Discussions are grouped into subject areas called newsgroups, which are analogous to individual discussion forums on a typical small BBS. The newsgroup comp.databases.informix shall be established to provide a forum for the discussion of Informix database management software and related subjects. 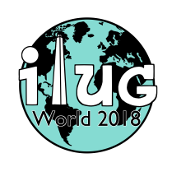 Topics will include all aspects of using and supporting the utilities that comprise the Informix product set, and other products designed to operate in an Informix database environment. The newsgroup is unmoderated, which means that no one person edits or controls what gets posted to the newsgroup. Subscribers are solely responsible for its content. All contributions are generally welcome, so long as they emphasize substantive information that is relevant to the newsgroup's technical orientation. The newsgroup comp.databases.informix is gatewayed with the mailing list Informix-List. This means all messages posted to comp.databases.informix with a distribution that reaches the home site of informix-list are automatically posted to the mailing list. Likewise, all messages sent to the mailing list are posted to the newsgroup. Thus, the two forums carry the same information, although they use different delivery methods. You may be able to access comp.databases.informix from the Web browser you are using to read this page. If you do have that capability, you will be able to read comp.databases.informix by clicking here. If that does not work, check with your local system administrator to insure that your site supports access to Usenet, and that your browser Options and Preferences are set correctly for news. This site houses a Searchable CDI Archive of all articles posted to comp.databases.informix. Since Informix-List is gatewayed to comp.databases.informix, this archive includes all messages from Informix-List as well. You can also browse the CDI Archive via the URL: ftp://ftp.iiug.org/pub/informix/comp.databases.informix/volumes/ or via anonymous FTP to ftp.iiug.org .